The power of social and SEO combined can give you a huge boost in getting discovered online. Big news. Google and Twitter are seeing each other again. And that means Twitter just became a lot more valuable to every content producer’s strategy. Combining the power of social media and search engine optimization, you can greatly enhance your content marketing strategy and your ability to get found online. This post will take you through what you need to know about the new Twitter and Google deal and some creative ways to take advantage of it. In case you haven’t been following this complicated relationship between the search giant (Google) and the 280 character social network (Twitter) allow me to give you a brief history. Firstly, you have to understand that before social media, there was search. The best way to be discovered online was through people finding you in search engine results. Before long, Search Engine Optimization (SEO) was born. Google became (and still remains) the king of online search. However, with the social media revolution a new way of being discovered arose. Word-of-mouth found it’s way into the online world like never before. Getting discovered and growing your online reach found new life. That’s not to say though that SEO dropped off – not in the least bit. However what did happen is that SEO was no longer the only game in town. Social Media lowered the barrier for entry into online discovery. Google understood the growing popularity of social media and decided to begin looking at indexing social networks for their search results. Facebook initially wouldn’t give Google proper access to index it’s site. After a while though what was once a completely walled garden was now beginning to make a small leak into Google search. But so insignificant that it wasn’t worth writing home about. Then there was Twitter. It was hot. It was great at real-time relevance. And Google saw that. So Google struck a deal with Twitter in 2009 to gain access to it’s data. But for some reason in 2011 that deal was broken. Maybe it was because the inception of Google+ became a threat. Or maybe it was because Twitter just got a little overconfident and didn’t feel it needed a partnership with Google anymore. With the introduction of Google+, social media activity now worked for you twofold— on the network itself and in Google search. This is why a lot of us early adopters took to Google+ so fiercely— we saw the potential for compounded efforts. At that point though, most social media activity (apart from Google+ activity) had very little chance at making it into search engine results. This meant that your SEO and your Social Media were two completely separate strategies. Though you could do very well focusing on SEO alone, it often required a lot of time, technical know-how and could be a longer-term payoff. Whereas with social, it was faster, easier and for most of us it was just more fun. SEO and Social seemed to be two completely separate strategies, that didn’t have much to do with each other. With Google+ we began to see just how beneficial it could be when your social activity pays off in search results. It’s as if you’re killing two birds with one stone. Your social strategy can benefit your search engine discoverability and your search engine discoverability can help your social strategy. A perfect harmony. Well finally, Twitter came to their senses and renewed their relationship with Google to give access to real-time activity, via the API, a.k.a. “the firehose”. Your Twitter activity is now working for you twofold. Not only is it helping you gain exposure within the Twitter network, but it’s helping you break into search results. Just like Google+! Your website’s own content and pages. The beauty of that? You can make all three channels work together in harmony with the right workflow. Before anything else, make sure you know how to use Twitter like a pro, first and foremost. How Does Google Index Tweets Today? Having more followers definitely helps. Images and Hashtags are more likely to be indexed. 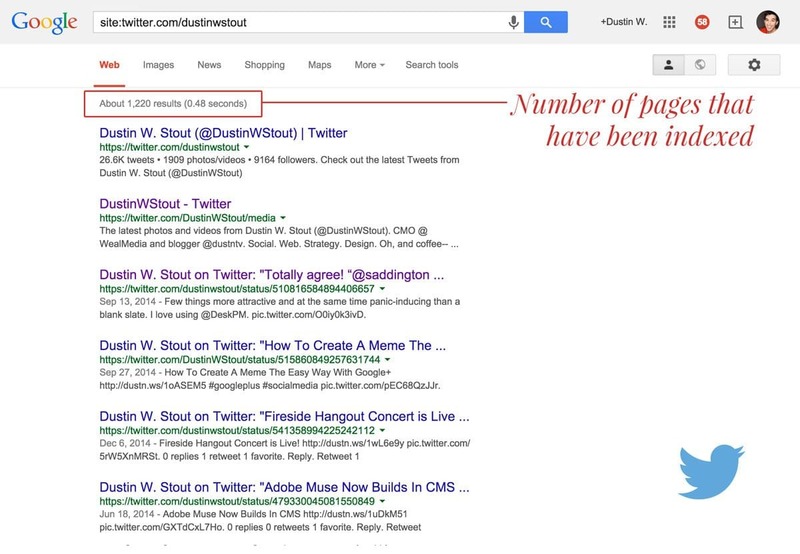 Having at least 10 inbound links to a tweet can significantly increase the likelihood that your tweet gets indexed. And because I know you love infographics, here’s an easy, visual reminder of these tips. Copy and paste the code below to embed this infographic to your website. 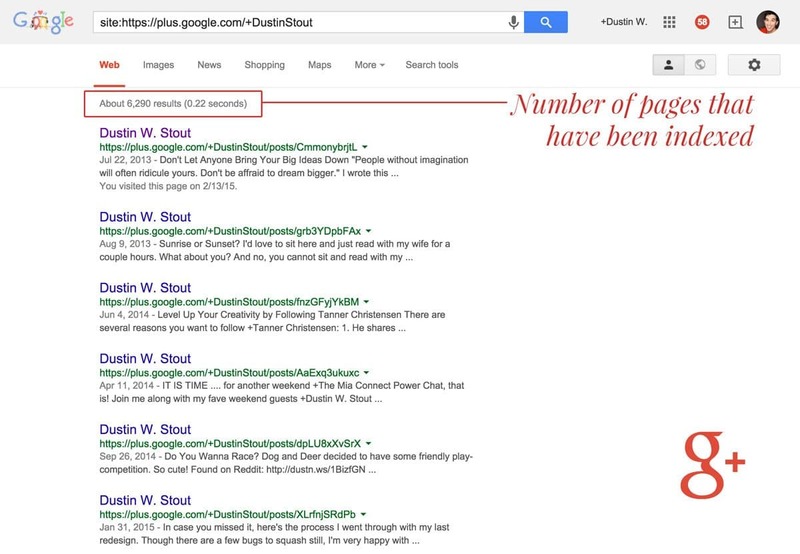 Since Google owns Google+ the public posts shared on Google+ are indexed almost immediately. They’re already a part of Google’s database so almost instantly you have the potential to surface in search results. So, getting your posts indexed isn’t the challenge. The challenge is getting them to surface in search results. While I’m no SEO expert, I can tell you this— it would seem that more engagement (consistently) can tell Google that your post is more relevant and/or popular, and that definitely can’t hurt from an SEO standpoint. Write at least a few sentences, don’t just dump a headline and a link. Include an image or be sure to include a link that has a large image preview. Make sure you post to “Public” rather than just to your circles or “Extended Circles”. If you want to dive a little deeper on squeezing the most engagement out of your Google+ posts, I’ve written a more extensive post titled The Anatomy of a Perfect Google+ Post. It’s also got a visual breakdown as an example. There’s also been a few cool articles about Google+ engagement written by Rebekah Radice and also my friends over at Steady Demand. Definitely worth the reading time. Currently it appears that I have 1,220 of my tweets indexed by Google. Not a bad starting point I guess. Roughly 6,290 of my Google+ posts seem to have been indexed so far. I was expecting more, but hey I’m not complaining. I guess it just means I’m not nearly as cool as I think I am. Benchmark your own current results and take another look every now and again to see how quickly you’re growing. You can easily do this through a spreadsheet. Calm down sparky— I’m getting there. 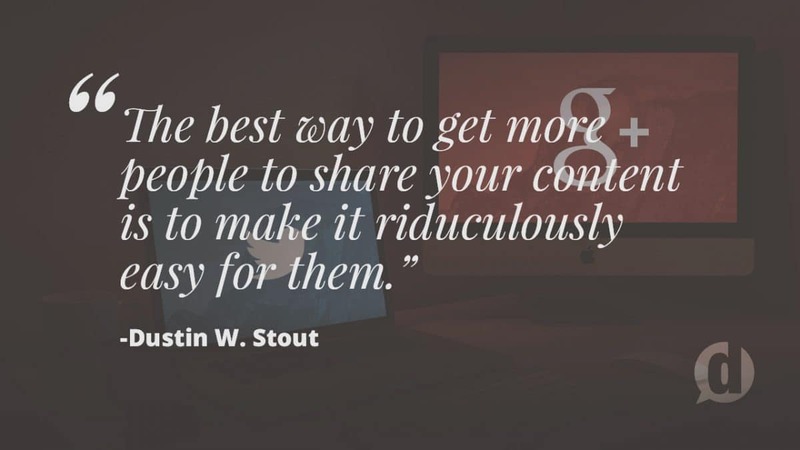 This is a very simple strategy to use Google+ and Twitter seamlessly into your current content creation efforts. Sign up for a Buffer account. Grab a copy of Social Warfare (if you have a WordPress Powered site). Signing up for a Friends+Me account will allow you to connect your Google+ account to your Twitter profile. 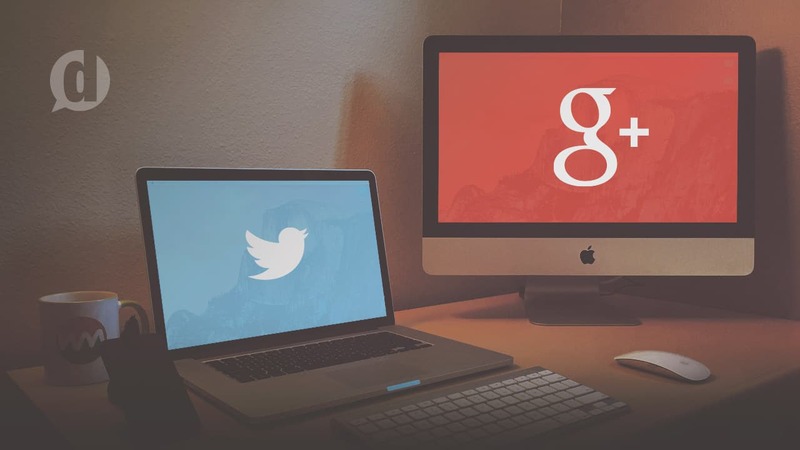 You can then easily cross-post from Google+ to Twitter, cutting down your time significantly. Grow – This will share every public Google+ post to Twitter with a link back to the Google+ post. Mirror – This will share every public Google+ post to Twitter as it’s own tweet (not connected to the Google+ post). Grow# – This will share only public Google+ posts with a specific hashtag to Twitter with a link back to the original Google+ post. Mirror# – This will share only public Google+ post with a specific hashtag to Twitter as it’s own tweet (not connected to the Google+ post). I recommend using the Mirror# strategy. This allows you to control which Google+ posts get tweeted and you keep your Twitter followers from getting annoyed at you constantly promoting a different social platform than they’re on. You shouldn’t cross-post everything anyways as some content just doesn’t fit some networks. Be considerate of the audience and what they want to see when determining whether or not to cross post. So I’ve taken a screenshot of my tweet and uploaded it to Google+ as an image and shared some additional commentary and a link back to the original tweet. You can do this with Twitter as well. Listen– don't just wait for your chance to talk – http://t.co/rj79wn8Xfs – you might just learn something valuable from your audience! You can tweet out links to your Google+ posts in a more non-automated way. It feels more organic this way. You’re showing your Twitter audience that you’re not just phoning it in. If you do this consistently you will not only be encouraging your followers to follow you across multiple networks, but you’ll be leveraging one profile to boost the authority of the other. Remember, inbound links to social posts can boost their SEO value. This technique helps you build those inbound links. Now here’s where you can not only have your tweets work harder for you, but you can have other people’s tweets work harder for you! Last year I got together with a couple of friends and we ended up building the perfect social sharing WordPress plugin. Since including it in my blogging arsenal, I’ve seen significant growth in both social shares and blog traffic. One of the features we focused on was being able to customize the content of the social shares. You can write the tweet that is populated when a reader clicks on your tweet button. With the Social Warfare plugin you can easily create these click-to-tweet quotes without having to leave your WordPress editor. There are several free alternatives that will allow you to create click-to-tweet quotes for your blog posts, but they don’t include the higher level customization for the social sharing buttons. In addition to the customized tweets, the Social Warfare plugin also allows you to customize the Google+/Facebook/LinkedIn share title and description as well as the image preview that the networks pull in. There’s also a separate customization for Pinterest descriptions and images. And that’s only part of the reason I believe it’s the best social sharing WordPress plugin on the market. There’s a ton more reasons, but for the sake of this article I’ll leave it at that. 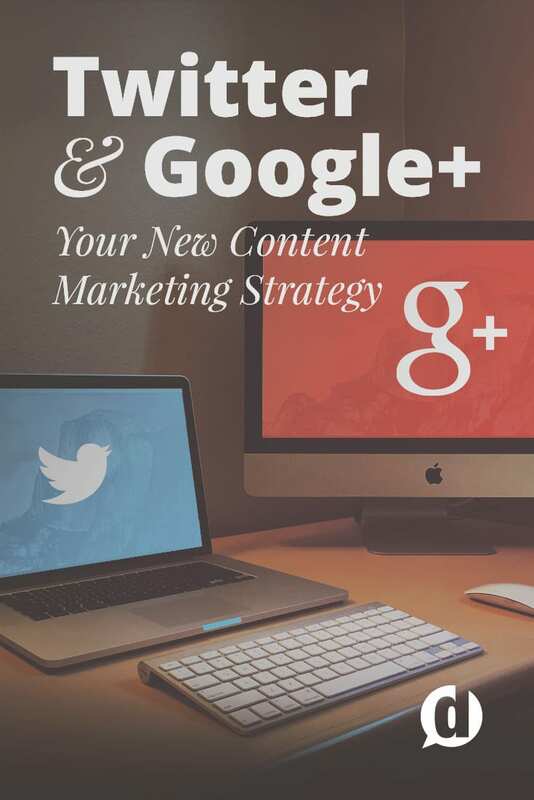 If you’ve made it through this posts so far you will have a great understanding of how Twitter and Google+ can add significant value to your content marketing efforts. Without knowing very much about search engine optimization you can still grow your search discoverability through these two powerful social media channels. I wasn’t even aware Google actually indexes individual Google+ posts… I suppose because I’ve never seen one in a search result, haha. But hey, that’s enough of a reason for me to start taking my Google+ marketing a bit more seriously! Yeah! They’re less prominent these days, but you can still find them. Wow! Loved the way you portrayed the complicated love-hate relationship between Google and Twitter. Almost like a movie script! That was a great write-up of the information that had been gathered. I was aware of the renewed indexing of Twitter tweets but had not thought of many points expressed here. I will have to save this and read it again later. Glad you liked it Nathan! Great information, thanks! I need to learn and do a lot of this! I have a question: I already use IFTTT, is this similar to the Friends+me account? It’s similar in that you can set things up to happen automatically or based on “controllers” that you set up. But IFTTT doesn’t allow for any Google+ integration. I had certainly heard that Twitter was being indexed again but had not thought about all the benefits and cross posting goodies you could implement here. I must say I have not payed as much attention to G+ in the past year as I should have and am trying to do more on there. Perhaps this is a great start to doing that. Thanks for the great in-depth post! Thanks again Ashley! I really have to hand it to the people at Stone Temple Consulting– their study was awesome! And yea, get on G+ man! So many opportunities over there to connect with cool, highly intelligent and engaged people! Thank you very much for this great post! Very insightful. Question – you say that tweets with images get indexed more than those without – makes sense, but what about videos? Is there an equal or higher index rate with videos or is there not enough data yet to be able to ascertain this? Same with audio tweets? Yes Chris Hodgeman! The Click-to-tweet box was one of our must-haves for the plugin. And we’re actively trying to make it more customizable for people to match their site design. I would assume that there just wasn’t enough data on Twitter videos (it’s still pretty new). I’m sure that if there were conclusive data about it, the guys over at Stone Temple Consulting would have addressed it. This makes social influencers super valuable for brands. Tweets from influencers can not just generate buzz and awareness but actually boost your Google search results ranking. The world is changing and SEO to merge with SMO.